Courtesy of CBS, New York. 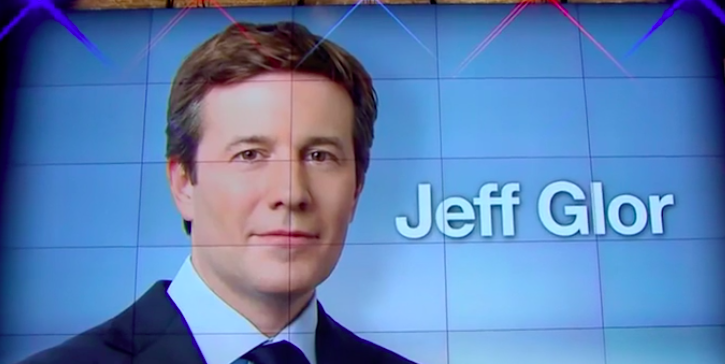 Jeff Glor visited Sandycove Island in Ireland and swam with tough hardened Irish open water swimmers en route to taking one of the most visible newscaster positions in American television. Glor presented Ned Denison and the Cork Distance Week on a 60 Minutes Sports special called The Torture Swim that was broadcast in 2014. Glor will become the next prime-time anchor for the CBS Evening News beginning in late 2017. Courtesy of The Torture Swim hosted by Jeff Glor, produced by Alan Goldberg at Sandycove Island, Ireland during Cork Distance Week, organized by Ned Denison.